We are encouraging this dialogue regarding changes to the SAF for several reasons. Over the course of this academic year the YCC has only been able to meet approximately three out of every ten dollars requested by student organizations. The cost for campus wide events, artists fees in particular, have been rising sharply over the past few years, forcing some events to begin charging an entry fee. Meanwhile, the SAF has not changed since 2009 when it was raised from $50 to $75. While tuition has risen steadily since 2005 to reflect changes in costs of goods and services as well as inflation, the SAF has been neglected because it is not managed directly by the financial services office. Although Yale prides itself on the vibrancy and diversity of campus life, the Student Activities Fee here is among the lowest in the Ivy League. 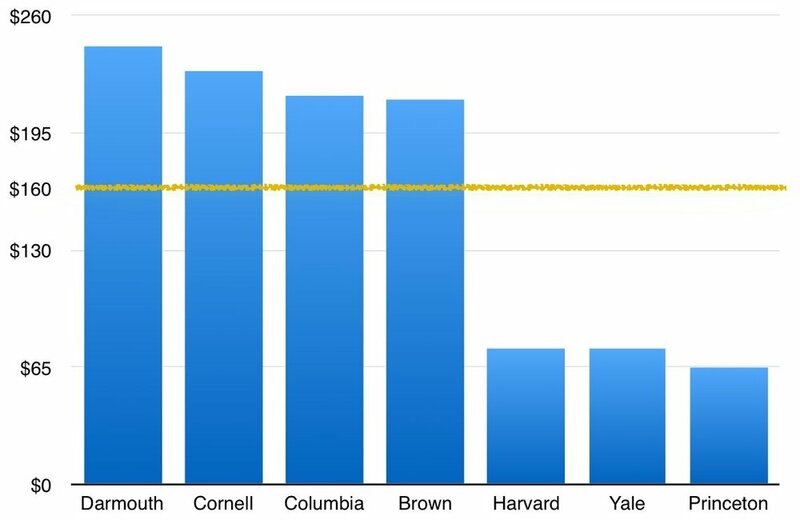 The average Student Activities Fee, or equivalent, at other Ivy League schools and Stanford is $191 annually. We feel that the growing gap between the funds received through the SAF and the funds requested by student organizations inhibits not only those organizations, but also quality of life for students on campus. This gap has become a problem that we need to address. For the first time, the SAF will be covered by financial aid starting next year. For many students, this means that the fee will no longer be considered an out-of-pocket expense that must be paid for by the student regardless of financial aid status, and now one that is included in covered expenses. With this change, the YCC would like to open the discussion for changes in the SAF to further improve campus life. The Yale College Student Activities Fee benefits all undergraduate students. It ensures adequate funding for student organizations, club sports, and student events. The quality of special events such as Spring Fling, Fall Show, Iron Chef Yale, Community Service Week, and cultural shows all rely on participation in the Student Activities Fee. Services such as the YCC Bass DVD Library, the UOFC capital equipment project, and the Bike Share program also draw from Student Activities Fee funding. Funds are managed by the Yale College Dean’s Office with significant input from undergraduates. Participation in the optional Student Activities Fee program will ensure a more robust offering of activities for all undergraduates. The SAF was instituted in order to give students financial independence in managing the budgets for student activities and organizations. It was included with Yale College tuition until 2005 when it became an optional charge outside of the tuition bill and financial aid. The fee was initially set to $50, but it was increased to $75 in the summer before the 2009-2010 academic year largely to accommodate a decrease in funding to the Yale College Council from the Yale College Dean’s Office and President’s Office as part of University-wide cutbacks. Students may annually opt out of this fee until mid-September. This year, the YCC has guaranteed that the SAF will be included in financial aid for all Yale students. Yale has among the lowest student activities fee in the Ivy League while also keeping campus-wide events, like Spring Fling, free and open to all undergraduate students. The total operating budget of the UOC is approximately $205,000 per annum; it is comprised of funding from the Dean’s Office, President’s Office, and, most significantly, from the Student Activities Fee (more than 60% of the budget for student organizations is derived from this source). This budget funds all student organizations for the year, of which there are approximately 400, with 500 at the start of the academic year. Assuming equitable allocation, each organization would receive approximately $512.50 ($410.00 at the beginning of the academic year). According to data collected in Fall of 2013, each organization seeks to spend on average approximately $7,500 a year, indicating that the UOC is currently unable to meet the demand presented by the majority of groups (even from those that receive financial support from other sources). This funding deficit can be clearly seen in this fiscal year 2014. Between August 2013 and May 2014, the UOC is expected to receive between $650,000 and $750,000 in funding requests. As a result of its limited budget, the UOC can only meet, at absolute most, only 31.5% of requests. This means that the diversity and vibrancy of campus life is hindered, as numerous activities and events are canceled or scaled back as a result of the lack of financial support. This year, the Spring Fling committee received $185,00 as its budget. This budget must include artist costs, production costs, labor costs, among other expenses. With artists costs increasing by over 300% over the past years (hiring Vampire Weekend, for example, would cost $100,000 in 2012/2013, whereas they would cost $300,000 today) and production becoming more important to artists, the cost of bringing an artist to campus has increased in a way that cannot be covered by the current budget. For the past two years, the YCC has had to grant additional funds to the Spring Fling Committee to mitigate these rising costs. As a cost-cutting measure, students have had to provide physical labor for the set up and takedown of Spring Fling in past years, in violation of labor and insurance rules, and cannot be continued. Instead, outside labor must now be hired, resulting in significant further expenses for the event itself. The result of a stagnant SAF in light of rising costs for events has led to the YCC being forced to charge admission fees to events that were previously free. This is contradictory to the purpose of the SAF, and one that the YCC wants to address.